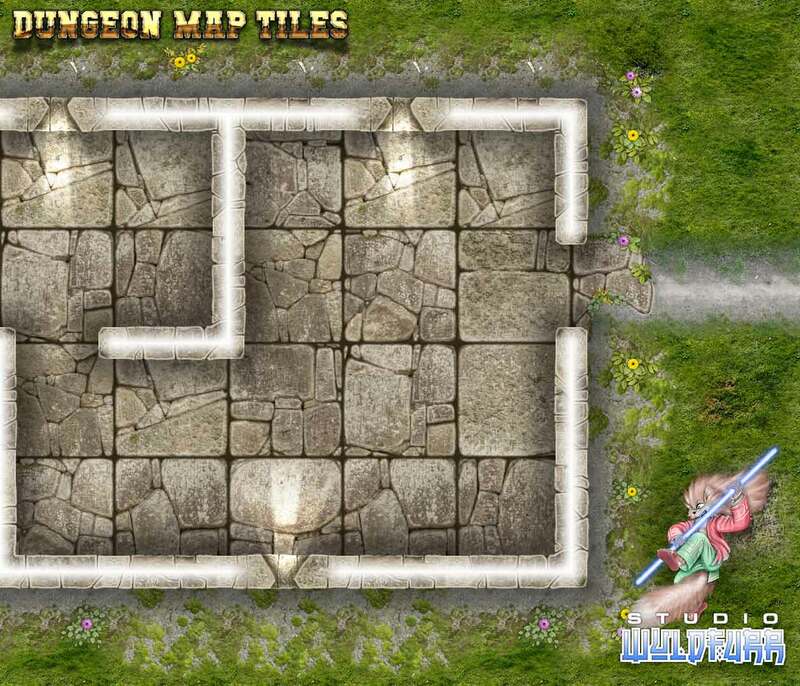 The Dungeon Map Tiles art pack is the foundation art pack of the Studio WyldFurr series of Map Tiles ready made art packs. The package contains the basic floor tiles, walls, passageways, doorways, external walls, castle walls, and a range of external wilderness map tiles. 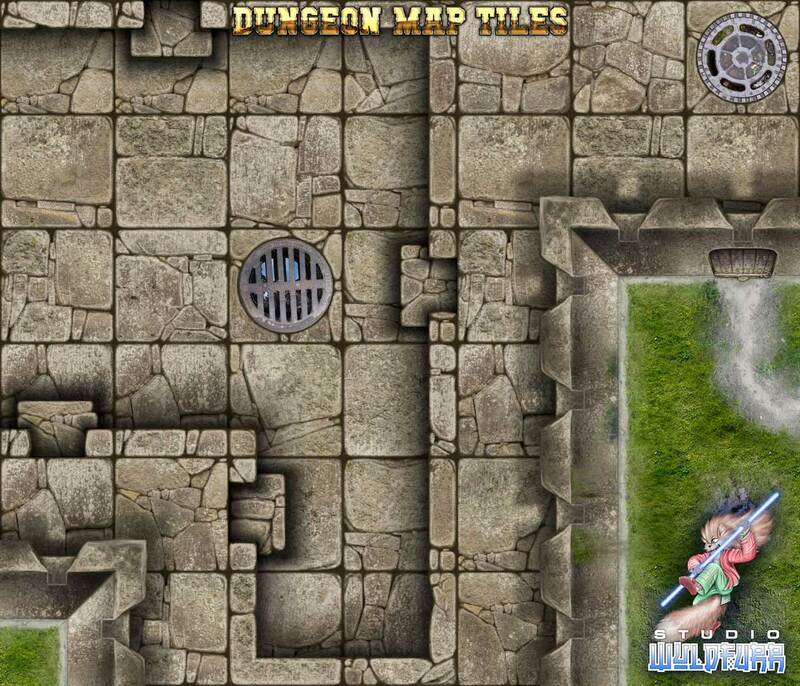 There are also flooded map tiles, split level tiles, and specail feature map tiles such as pit traps. 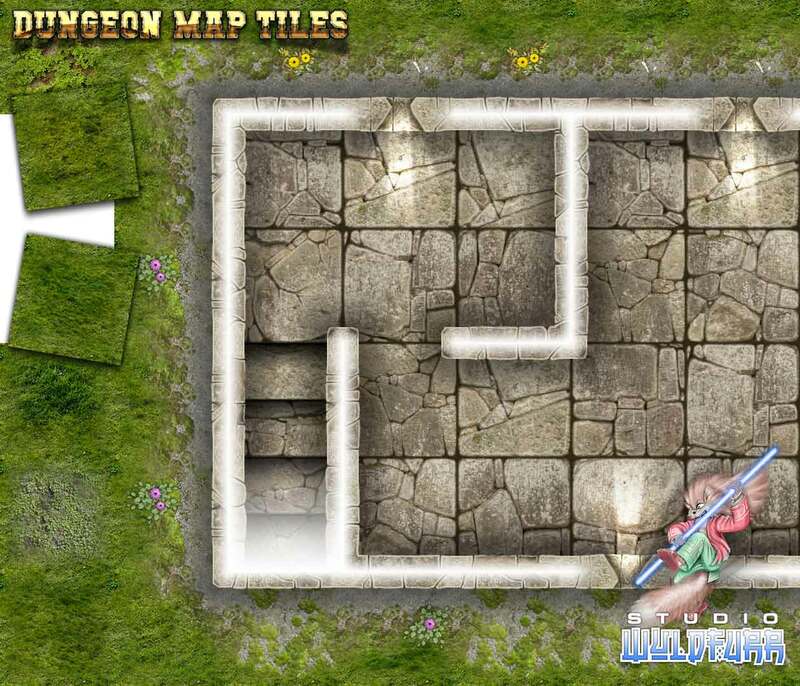 All other Map Tiles artwork collections from Studio WyldFurr expand on this “basic set” of map tiles, spawning map building art packages such as the Sci-fi Map Tiles pack, the Cave Map Tiles pack, and the expansion Dungeon Map Tiles packages Two, Three, and Four. With plans for more map tiles packs in the future. The map tiles have been made as a kind of ready made art pack that you can simply just drag’n’drop into place to build a map. 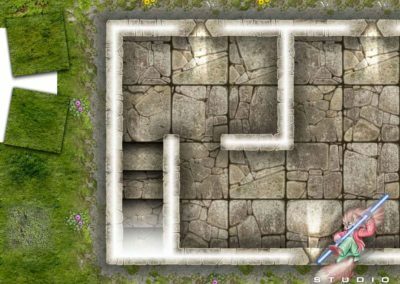 To do this all you need is a graphics editing program such as Photoshop, Gimp, or one of the Map Making programs that permit you to use tiles to build maps. 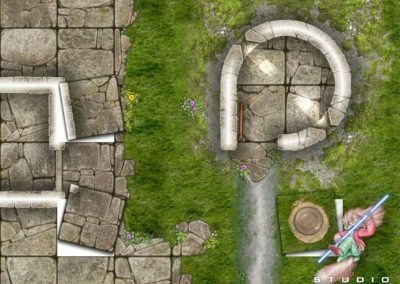 If you are new to building your own adventure maps, we recommend checking out the MapForge Edition of the Dungeon Map Tiles package. This edition of the pack is specially configured to take advantage of the features of the MapForge application. 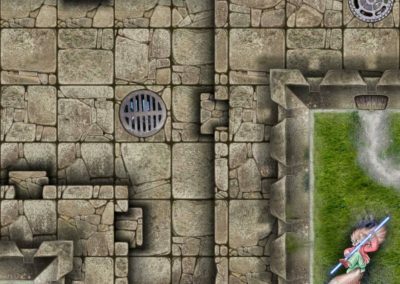 If you are an experienced map builder with apps such as Photoshop, the Raw Image Files Art Assets Edition of the Dungeon Map Tiles pack can be purchased as a stand alone pack from RPGnow.com. Or you can purchase the pack as a part of the Dungeon Master’s Starter Set also available from RPGnow.com. 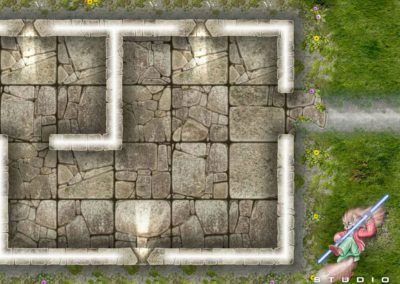 We have a tutorial detailing how you can use the Map Tiles in Photoshop or Gimp. Don’t have access to Photoshop or other such expensive graphics editing programs? Want to use a cartography program that does all of the hard work for you? Then you need to get your hands on MapForge! MapForge makes building adventure maps easy. 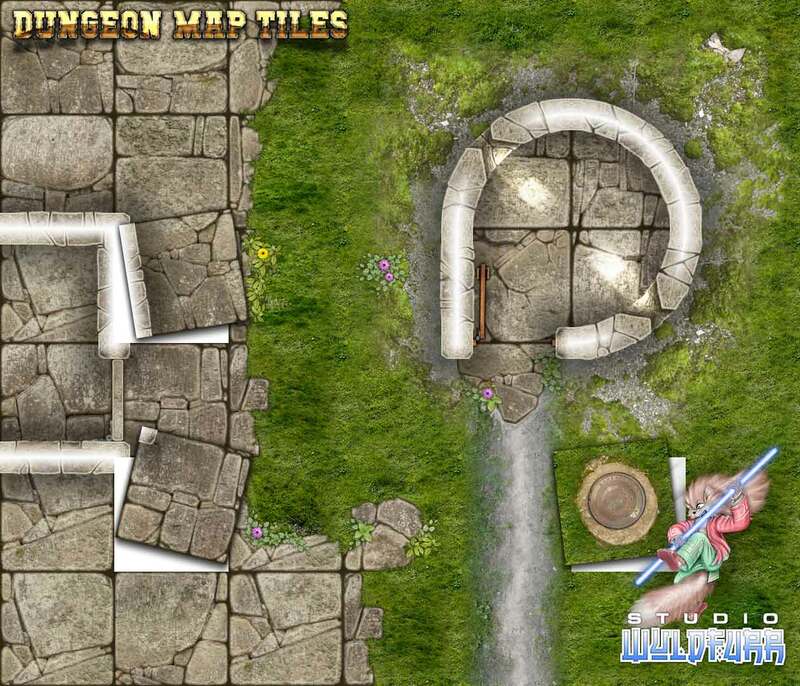 The MapForge Edition of the Dungeon Map Tiles set has been specially configured to take advantage of all the automatic features MapForge has to offer. 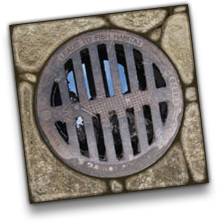 Thus streamlining and simplifying map construction within an App that is purpose built for map building.